William Samuel Antill was born in London on 25th December 1825, the son of Lydia Ann Bush and Abraham Antill. Young William was baptised a few months later on 19th February 1826 at Christchurch Greyfriars in the Newgate district of London. In 1847, William Samuel Antill married Martha Love (born c1824 Woolwich, Kent) in Hackney, London. 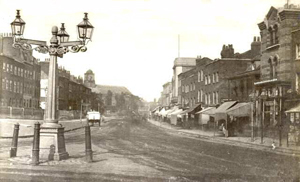 Shortly after their marriage, William and Martha moved to the South London district of Newington, where their first child William Antill junior was born during the 3rd Quarter of 1848. A second son, Thomas Antill was born in Southwark, South London, in 1849. John Antill, the couple's third son, was born in Southwark during the final quarter of 1850, but he was to die in infancy before reaching his third birthday. 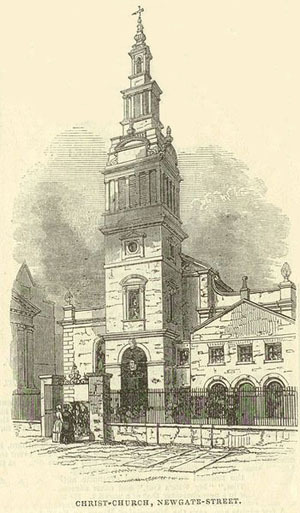 When the 1851 census was taken, William Antill, his wife Martha and their three young sons were residing in the parish of St George the Martyr in Southwark. 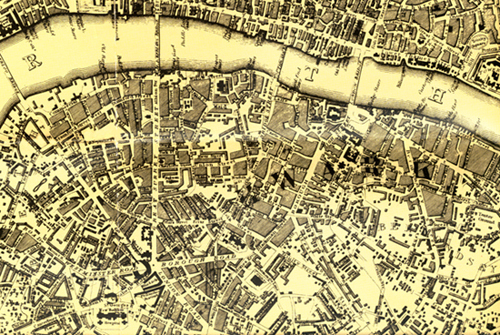 [ABOVE] A detail from a map of London produced around 1850 showing the Surrey district of Southwark, immediately south of the River Thames. William S. Antill and his family had their home in Southwark between 1849 and 1853. By 1856, the Antill family had moved to the less crowded Newington district of Surrey located in the bottom right of this map. Although William Antill's wife and children resided in South London, from around 1854 William S. Antill, a carver and gilder by trade, ran a picture-frame making business some 40 miles away in the seaside town of Brighton. William Samuel Antill was a carver & gilder by trade and by 1854 he had established a picture-frame making business in the Sussex seaside resort of Brighton. W. J. Taylor's Original Brighton & Hove Commercial Directory, issued in July 1854, lists William Samuel Antill as a carver & gilder at 3 North Street Quadrant, Brighton. 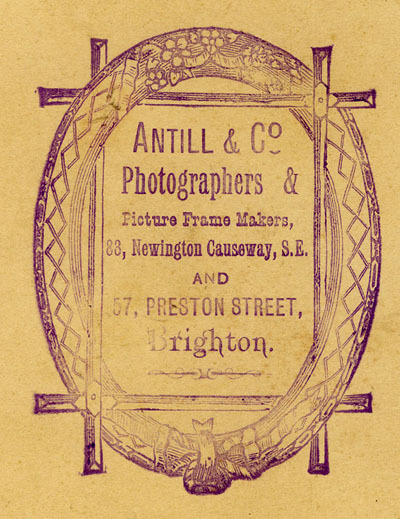 A few years later, William S. Antill transferred his picture frame-making business to 57 Preston Street, Brighton. Although William S. Antill was running a successful business in Brighton, his wife and family remained in the South London district of Newington. William Antill's daughter, Matilda Ann Antill was born in Newington, Surrey, during the 2nd Quarter of 1856, yet Brighton trade directories record William Samuel Antill as a carver & gilder at 57 Preston Street, Brighton during this period. 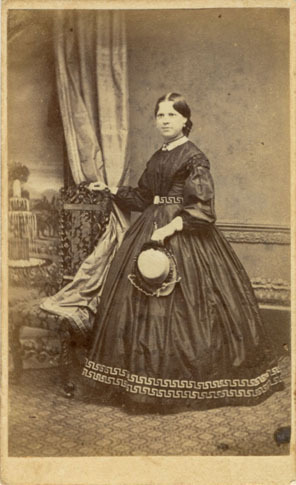 By the end of 1858, William Antill's wife Martha and his three surviving children, William junior, Thomas and Matilda, had joined him in Brighton. William and Martha Antill's fourth child, Charlotte Antill, was born in Brighton during the 3rd Quarter of 1858. The 1861 census records William Samuel Antill and his family at 57 Preston Street, Brighton. William S. Antill, the Head of Household, is described on the census return as a thirty-five year old "Carver & Gilder". Also listed at his home in Preston Street is William Antill's thirty-seven year old wife Martha and their four children - William junior, aged 12, Thomas, aged 11, Matilda, aged 4 and two year old Charlotte. Another three children were born in Brighton to William and Martha over the next half dozen years - Herbert Samuel Antill (born 1862), Arthur Edward Antill (born 1864) and Ernest Henry Antill (born 1867). William Samuel Antill lived and worked at 57 Preston Street, Brighton, for the next thirty years. 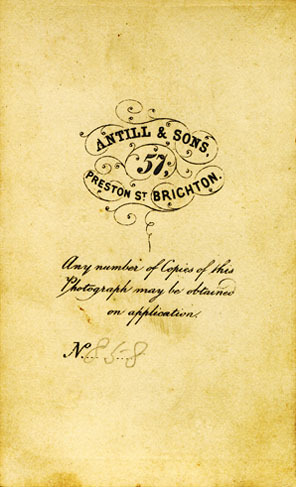 From around 1863, William S. Antill supplemented his income as a picture- frame maker by setting up a photographic portrait studio at his business premises in Preston Street, Brighton. From 1864, William S. Antill is listed in local trade directories as a carver & gilder and a photographic artist. All five of William Antill's sons followed him into the family business and either worked as photographers or picture-frame makers. [ABOVE] Christ-Church Greyfriars in the Newgate district of London, where William Samuel Antill was baptised on 19th February, 1826. [ABOVE] The High Street of Newington in South London (c1860). During the late 1850s, William Samuel Antill's wife and family lived in Newington, Surrey, while he ran a picture-frame making business some 40 miles away in the Sussex seaside town of Brighton. 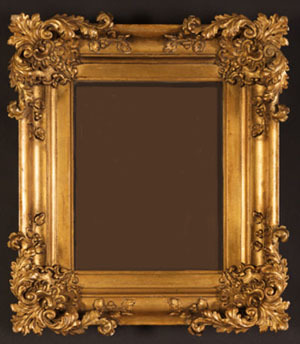 [ABOVE] A gilt picture frame dating from around 1850. William Samuel Antill trained as a carver & gilder in South London and from 1854 he ran a picture-frame making business in Brighton, Sussex. William Samuel Antill was first listed as a photographic artist in Brighton in Folthorp's Directory of Brighton published in 1864. It is likely that William Antill senior converted the upper storey of his house at 57 Preston Street, Brighton into a photographic portrait studio. Surviving carte-de-visite portraits taken by William S. Antill provide evidence of a conventional portrait studio with drapes and curtains, a patterned carpet, a painted backcloth depicting a fountain in a garden, studio furniture, including a small occasional table and two attractively upholstered straight-backed chairs and simple studio props such as flowers in a basket. Antill's studio chairs were embellished with elaborate carvings, perhaps Antill's own professional handiwork. It was not uncommon for picture-frame makers to establish their own photographic portrait studios and it would be interesting to discover if William Samuel Antill and his sons offered to frame the small photographic portraits taken at their Preston Street studio. 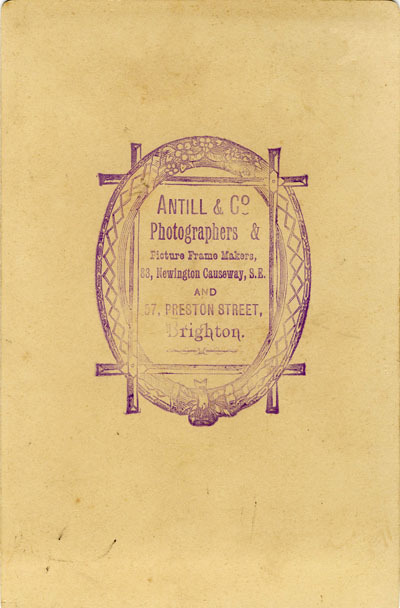 William Samuel Antill was listed as a photographer in Brighton trade directories between 1864 and 1867, but there is evidence that photographic portraits continued to be taken at Antill's business premises at 57 Preston Street, Brighton beyond 1867. For instance, a photographic portrait dating from around 1889 has been found with the printed credit "Antill & Co., Photographers & Picture Frame Makers, 83 Newington Causeway, S.E. and 57 Preston Street, Brighton". 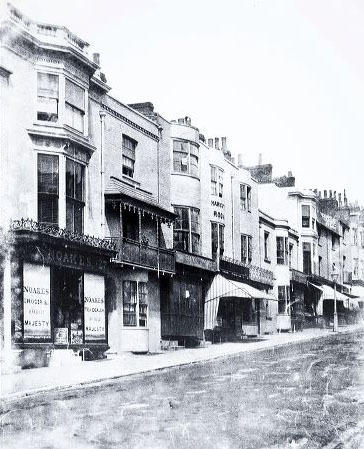 [ABOVE] Preston Street, Brighton photographed around 1857, about the time that William Samuel Antill started a picture-frame making business at No. 57 Preston Street. 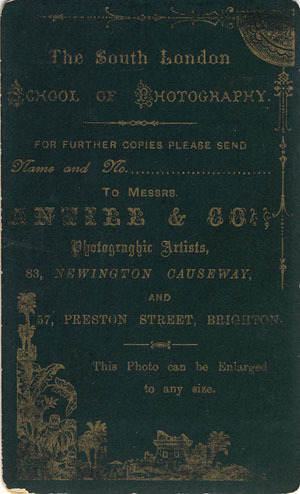 [ABOVE] The trade plate of William Samuel Antill, photographer, 57 Preston Street, Brighton (c1865). Within a few years, William had brought his two eldest sons, Thomas and William junior, into the business and, from around 1867, carte-de-visite portraits produced at William S. Antill's studio in Preston Street carry name "Antill & Sons". 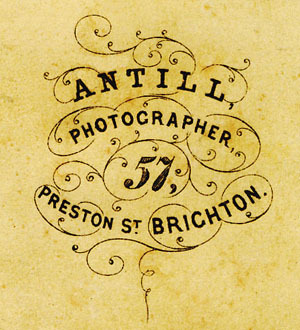 [ABOVE] William Samuel Antill listed as a photographer at 57 Preston Street, Brighton in J. Harrod & Co.'s Postal & Commercial Directory of Brighton (1867). Charles Combes, an experienced professional photographer had a photographic portrait studio in the same street at No.32 Preston Street. 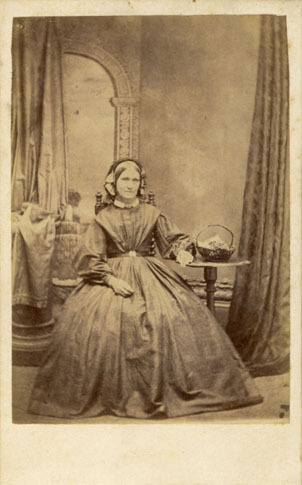 [ABOVE] A portrait of an unknown woman seated by an occasional table supporting a basket of flowers, photographed at the studio of William Samuel Antill, 57 Preston Street, Brighton (c1865). Negative No. 1,447. 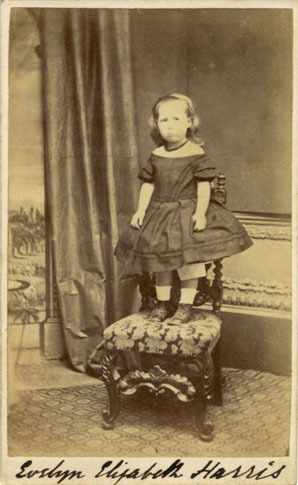 [ABOVE] A portrait of Evelyn Elizabeth Harris (born 1860, Hoo, Kent) standing on a chair, photographed at the studio of Antill & Sons, 57 Preston Street, Brighton (c1866). Negative No. 858. [ABOVE] A portrait of young woman standing by a chair, photographed at the studio of Antill & Sons, 57 Preston Street, Brighton (c1866). Negative No. 876a. [ABOVE] The reverse of the above carte-de-visite portrait showing the trade plate of William Samuel Antill, Photographer, 57 Preston Street, Brighton (c1865). Negative No. 1,447. [ABOVE] The reverse of the above carte-de-visite portrait showing the trade plate of Antill & Sons, 57 Preston Street, Brighton (c1867). Negative No. 858. 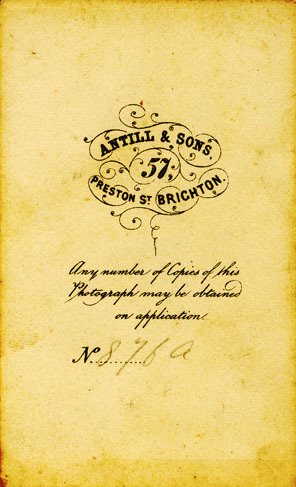 [ABOVE] The reverse of the above carte-de-visite portrait showing the trade plate of Antill & Sons, 57 Preston Street, Brighton (c1867). Negative No. 876a. [ABOVE] A portrait of young man ("aged 16 & 8 months") photographed at the studio of Antill & Sons, 57 Preston Street, Brighton (c1866). The teenager is posed in front of a painted backdrop showing sailing craft on a choppy sea. The illusion of depth is strengthened by a fake post and rail being positioned in front of the subject. The caption "Aged 16 & 8 months" is written in ink on the back of the photograph. 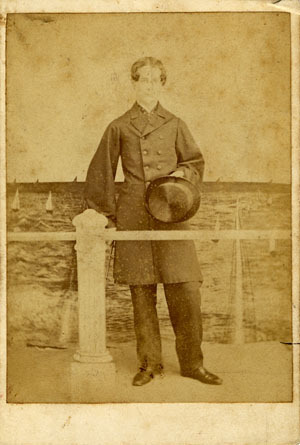 [ABOVE] The reverse of the above carte-de-visite portrait of the young man "on the seafront" pictured on the left, showing the trade plate of Antill & Sons, 57 Preston Street, Brighton and the hand-written inscription "Aged 16 & 8 months"(c1866). William Antill senior was joined in the business by his two sons, Thomas Antill (born 1849) and William Antill junior (born 1848) around 1866. 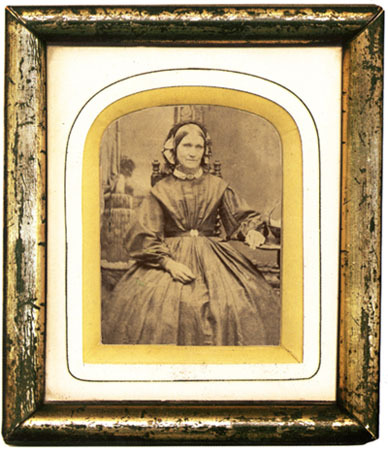 [ABOVE] One of William Samuel Antill's carte-de-visite portraits placed inside a gilded wooden picture frame of the type which were made and sold at William Samuel Antill's picture-frame shop at 57 Preston Street, Brighton during the 1860s. It was not uncommon for carvers and gilders to establish photographic portrait studios on the same site as their frame making workshops. William Samuel Antill and his sons William Antill junior (born 1848), Thomas Antill (born 1849) and Herbert Samuel Antill (born 1862) combined photography with picture-frame making. William Samuel Antill was last mentioned as a professional photographer in local commercial listings in Page's Directory of Brighton, which was published in 1867. From 1868 until 1891, William Samuel Antill is listed as a "picture frame maker" at 57 Preston Street, Brighton. The Street Directory in Kelly's 1891 Directory of Sussex records William Samuel Antill as a "gilder & picture frame maker" at No. 57 Preston Street, Brighton. Antill's picture frame business in Preston Street closed a few years before William Antill senior, the firm's founder died in 1894, at the age of 68. The census of Brighton carried out on 2nd April 1871, shows William S. Antill as a forty-five year old "Picture Frame Maker", living at 57 Preston Street with his fifty-seven year old wife Martha and their five youngest children - Matilda, aged 14, Charlotte, aged 12, Herbert, aged 8, Arthur, aged 7 and three year old Ernest. W. S. Antill's two eldest sons had left the family home. Thomas Antill (born1849) had married in 1870 and had settled in Worthing, where he worked as a photographer. In 1871, William Antill junior (born 1848) was living with his nineteen year old wife Mary at 25 Castle Street, Brighton. The census enumerator described William Antill junior as a twenty-two year old "Photographer" in the 1871 census. The 1881 census return for No. 57 Preston Street, Brighton reveals few changes in the Antill household. William S. Antill's five youngest children are still living at home, but apart from thirteen year old Ernest, who is still at school, the older children are working as assistants to their father and mother. Twenty-two year old Charlotte Antill is described as a "House Assistant", so presumably helped her mother in her domestic duties. Twenty-four year old Matilda Antill is entered on the census return as a "picture frame maker", while the two teenage sons - Herbert S. Antill (18) and Arthur Antill (17) are each given the label "Business Assistant". The next decade witnessed more significant changes in the Antill family. In 1885, Matilda Ann Antill married John Samuel Woolard (born 1863, London), a young bookbinder. Two of Matilda's younger brothers married in 1887 - Herbert Samuel Antill who wed Lily Fanny Fennell (born 1868, Brighton) and Arthur Edward Antill who tied the knot with Minnie Bell (born c1865, Brighton). William S. Antill's youngest son, Ernest Henry Antill was to marry twice, first in 1890 and again in 1903. The most dramatic change in William S. Antill's life occurred between the start of 1888 and the end of 1889. During the 1st Quarter of 1888, Mrs Martha Antill, William's wife of 40 years, died in Brighton at the age of 64. By the end of the following year, William Samuel Antill had married again. 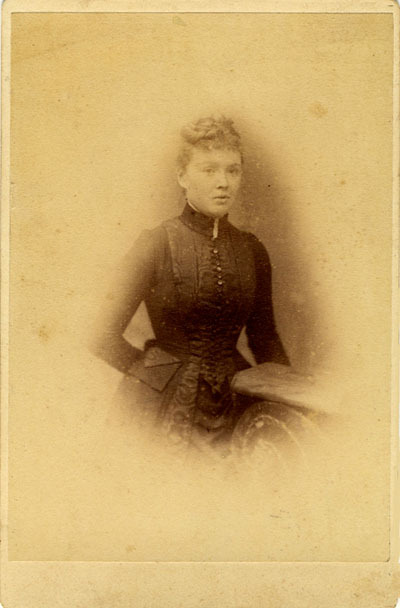 William's second wife was thirty-six year old Anna Olliver (born 1853, Brighton) and the marriage took place during the final Quarter of 1889. William S. Antill, who was now in his early sixties retired to Cuckfield with his new wife. William Samuel Antill died in the Sussex district of Cuckfield during the 1st Quarter of 1894, at the age of 68. 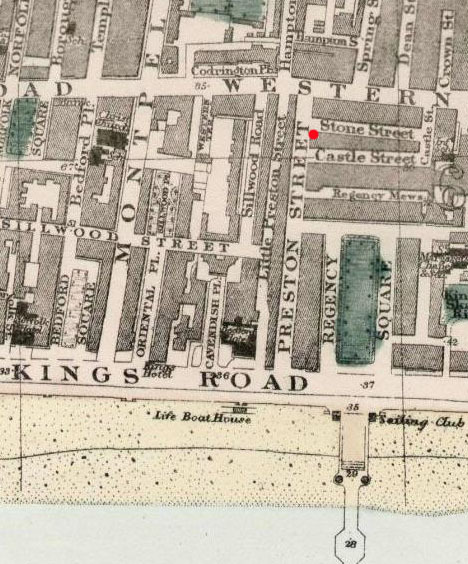 [ABOVE] A detail from a late Victorian map of Brighton showing the location of William Samuel Antill's picture-framing shop in Preston Street, Brighton. Number 57 Preston Street [marked with a red dot], where William S. Antill worked as a carver & gilder and photographer in the mid-1860s, was on the eastern side of Preston Street at the junction with Stone Street. Preston Street was a commercial street which led from the main shopping parade of Western Road to King's Road on the seafront. The West Pier, marked at the bottom right-hand corner of this map, next to the Sailing Club, was a short walk to the southern end of Preston Street. William Antill junior was born in Newington, Surrey, in 1848, the eldest son of Martha Love and William Samuel Antill, a carver & gilder. William Antill junior spent the first decade of his life in South London, but around 1858, ten year old William travelled down from London to Brighton with his mother and two younger siblings. William Samuel Antill, William's father, had established a picture-framing business in Brighton four years previously. 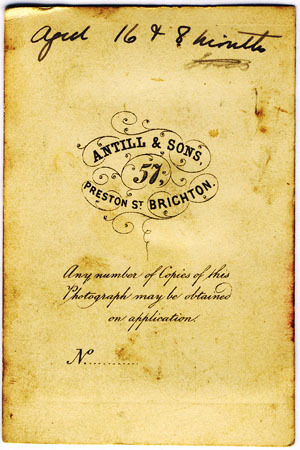 In 1864, William Samuel Antill opened a photographic portrait studio at his business premises at 57 Preston Street, Brighton. When William Antill junior was aged about 16, he joined his father in his picture-framing workshop and a year or so later he was helping out in his father's photographic studio. William Antill junior studied photography under his father and by the time he was in his early twenties he was earning his living as a professional photographer. On 20th June 1870, William Antill junior married Mary Flint (born 1852, Norwood, Surrey) at Brighton's St Nicholas' Church. At the time of the 1871 census, William Antill junior was living at 25 Castle Street, Brighton with his nineteen year old wife. On the census return, William Antill junior is described as a twenty-two year old "Photographer". By the time the 1881 census was taken, William Antill junior was boarding at Charles Richards' beer-house at 92 Church Street, Brighton. No longer employed as a photographer, thirty-two year old William Antill was working as a "Picture Frame Maker". It appears that William Antill and his wife Mary had separated by this date. According to a document in the National Archives, Mary Antill petitioned for a divorce from her husband in 1882. 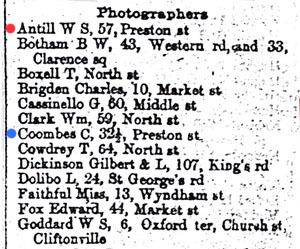 When the census was carried out on 5th April 1891, William Antill junior was recorded as a forty-two year old "Photographer" boarding at 12 Wyndham Street, Brighton. Presumably William Antill junior was employed by one of the forty or more photographic studios that were in business in Brighton in 1891. William Antill junior died in Brighton during the 2nd Quarter of 1895, aged 47. [ABOVE] The names of 42 photographic studios as detailed in the "Trades" section of Page's 1891 Directory of Brighton. William Antill junior's name is not included in this list of Brighton photographers, so we must assume he did not have his own studio, but was employed in one of the above named proprietors. A second son, Thomas Antill was born in Southwark, South London, in 1849. Thomas Antill was born in Southwark, South London, in 1849, the second son of Martha Love and William Samuel Antill, a carver and gilder. By 1854, William Samuel Antill had established a picture-frame making business in Brighton, Sussex, but his family continued to live in Newington, South London. William Antill's wife and three children eventually joined him in Brighton around 1858. 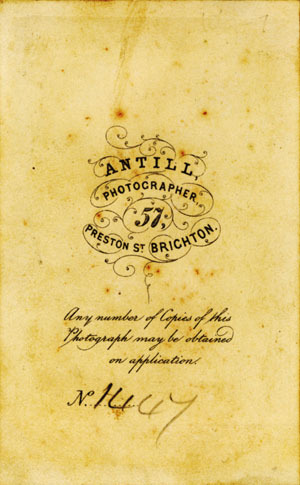 Although primarily a carver and gilder, around 1864 William Samuel Antill set himself up as a photographer at his business premises at 57 Preston Street, Brighton. From about 1866 onwards, William Antill senior was assisted in his photography business by his two eldest sons - William Antill junior (born 1848, Newington, Surrey) and Thomas Antill (born 1849, Southwark, Surrey). On 27th November 1870, Thomas Antill married Emma Boon (born c1850, Worthing) at Broadwater. Thomas and his wife Emma settled in Worthing. The couple's first child, Thomas Edward Antill was born in Worthing in 1872. A daughter named Emma Matilda Antill was born in Worthing during the 2nd Quarter of 1874. By the time of the 1881 Census was taken, Thomas Antill, his wife, Emma, and their two children were living in New Town, Ifield. In the 1881 census return, Thomas Antill is recorded as a "Photographer", aged 31. By 1891, Thomas Antill was living with his wife and two children in Hertfordshire. Thomas Antill died towards the end of 1897, aged 48. His death was registered in the district of Barnet during the 4th Quarter of 1897. 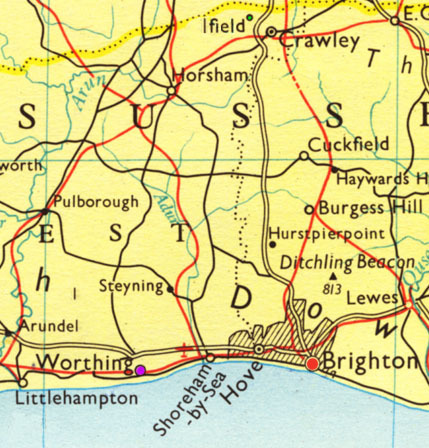 [ABOVE] A modern map of Sussex showing the three locations where Thomas Antill worked as a photographer between 1866 and 1881 - Brighton [red dot], Worthing [purple dot] and Ifield [green dot]. Herbert Samuel Antill was born in Brighton in 1862, the third surviving son of Martha Love and William Samuel Antill, a carver and gilder. Around 1864, William Samuel Antill, Herbert's father, had set up a picture- frame making business and a photographic portrait studio at his business premises at 57 Preston Street, Brighton. 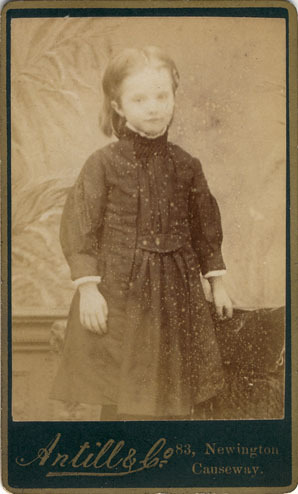 W. S. Antill was assisted in the studio by his two teenage sons, William Antill junior (born 1848) and Thomas Antill (born 1849), but Herbert was only two years of age when the studio opened and still an infant when the portrait studio at 57 Preston Street was closed around 1868. Presumably, Herbert was taught photography by his father, because by 1886, at the age of twenty-four, he joined forces with a young photographer named Thomas Sidney Smith (born 1865, Camberwell) to form the photographic firm of Antill & Smith. The photographic studio of Antill & Smith at 83 Newington Causeway, Southwark opened for business in 1886, but the business partnership between Herbert Antill and Thomas Sidney Smith was brief and in 1887 the Newington Causeway studio was in the hands of photographer using the name "Victor Leo". By 1889 the studio at 83 Newington Causeway, Southwark was operated solely by Herbert Samuel Antill. Herbert Samuel Antill appears to have combined with his father to form the firm of Antill & Co. A cabinet portrait produced around 1889 by Antill & Co. has been rubber-stamped "Antill & Co., Photographers & Picture Frame Makers, 83 Newington Causeway, S.E. and 57 Preston Street, Brighton". From 1891 until 1893, Herbert Samuel Antill operated a photographic studio at 31 The Pavement, Clapham Common. In 1893, Herbert Antill moved to Lewisham where he worked as a photographer until about 1900. When the 1901 census was taken, Herbert Antill, now aged 39, was living at his business premises at 62 Perry Vale, Forest Hill, Lewisham, but he informed the census enumerator that his main occupation was as a "Picture Frame Maker". In 1887, Herbert Samuel Antill had married Lily Fanny Fennell (born c1868, Brighton), yet on the 1901 census return, the name of Herbert's wife is given as Annie Maria Antill, a thirty-six year old woman from Brighton. [ABOVE] The trade plate of Antill & Co., Photographers & Picture Frame Makers, 83 Newington Causeway, S.E. and 57 Preston Street, Brighton (c1889). Herbert Samuel Antill had set himself up as a photographer at 83 Newington Causeway, Southwark, S.E. London around 1886. [ABOVE] A carte-de-visite portrait of a young girl, photographed by Herbert Samuel Antill who operated the London branch of Antill & Co. at 83 Newington Causeway, Southwark, S.E.London (c1890) [ABOVE] The reverse of the carte-de-visite portrait of the young girl pictured on the left, showing the trade plate of Antill & Co., Photographic Artists, 83 Newington Causeway, S.E. and 57 Preston Street, Brighton (c1889). [ABOVE] A cabinet portrait of a young woman photographed by Herbert Samuel Antill who operated the London branch of Antill & Co. at 83 Newington Causeway, Southwark, S.E.London. The back of the cabinet card is rubber stamped "Antill & Co., Photographers & Picture Frame Makers, 83 Newington Causeway, S.E. and 57 Preston Street, Brighton". (c1889). [ABOVE] The reverse of the cabinet portrait of the young woman pictured on the left, showing the trade plate of Antill & Co., Photographers & Picture Frame Makers, 83 Newington Causeway, S.E. and 57 Preston Street, Brighton (c1889). Herbert Samuel Antill had set himself up as a photographer at 83 Newington Causeway, Southwark, S.E. London around 1886 and closed his studio in 1890. Arthur Edward Antill was born in Brighton in 1864, the fourth surviving son of Martha Love and William Samuel Antill, a carver and gilder. Around the time of Arthur's birth in 1864, his father, William Samuel Antill, opened a photographic portrait studio on the site of his picture-frame making business at 57 Preston Ptreet, Brighton. Unlike his older brothers, Arthur did not have the opportunity to pursue a career in photography, but he did follow his father into the picture-frame making business. At the time of the 1881 census, seventeen year old Arthur Edward Antill was working as an assistant to his father at W. S. Antill's picture frame workshop in Preston Street. By 1899, Arthur Edward Antill had opened his own picture-frame making business at 77 Western Road, Hove. Arthur Edward Antill was listed as a carver & gilder and picture-frame maker at 77 Western Road, Hove from 1899 until 1919. In 1887, Arthur Edward Antill married Minnie Mary Emma Bell (born 1863, Brighton), the daughter of William and Jemima Bell. Mrs Minnie Antell gave birth to a baby boy named Arthur Edward (Ernest) Antill in Hove during the 2nd Quarter of 1898. Ernest Henry Antill was born in Brighton in 1867, the youngest son of Martha Love and William Samuel Antill, a carver and gilder. Ernest appears to have been the only son of William S. Antill who did not follow in his father's footsteps as either as a photographer or a picture frame maker. At the time of the 1901 census, thirty-three year old Ernest Henry Antill was recorded as a "Solicitor's Clerk" residing in Lambeth. Ernest Henry Antill married in Croydon in 1890, but the marriage was not a success. The couple produced a son named Walter Samuel Antell (born 1892, Cuckfield), but in 1902, Mrs Annie Elizabeth Antill petitioned for a divorce. After his divorce, Ernest Henry Antill married Louisa Lear Torney (born 1873, Marylebone), a Lambeth waitress. In 1905, Mrs Louisa Antill gave birth to a son named Douglas Ernest Antill [ birth registered in Lambeth during the final Quarter of 1905]. In the early 1880s, Matilda Ann Antill was working as a picture frame maker in her father's business. In 1885, Matilda Antill married a bookbinder named John Samuel Woolard (born 1863, London). A daughter named Florence Martha Woolard was born in Brighton in 1887. William Antill's other daughter Charlotte Antill never married. Charlotte Antill died in Brighton in 1940 at the age of 81.